Electronic cloud is nothing but a theory related to the position of the electrons in an atom. The model was developed by Erwin Schrodinger Werner Heisenberg in 1925 when they tried to explain the uncertainty of electrons in an atom. It is based on the fact that the motion of electrons in an atom is anything but steady. They revolve around the nucleus of an atom in a most unpredictable manner. 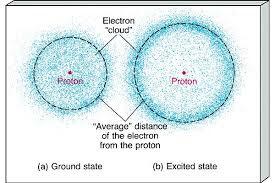 The electron cloud model says that we can assume the position of the electrons to be in more specific areas. This model of electrons has immense significance in quantum physics and chemistry. The electron cloud model is used to describe the location of an electron in an item. According to this model. electrons don’t have any specific position in an atom but can be found at specific places. It is quite contrary to the traditional atomic model theory, also known as Bohr’s Model given by Neil Bohr. To conclude, according to this model, electrons do not travel in specific paths and orbit around the nucleus in an unpredictable manner. In chemistry, the first electron model was the Bohr Model, given by Neil Bohr. But the electron cloud model presents a more complicated position of an electron. According to the cloud model, there are regions near the nucleus where electrons can be found in clouds. According to the model, there are regions where the electrons are likely to be found, but theoretically, they can be found anywhere inside the atom. Since the time of ancient Greeks, there have been several atomic theories which have been evolving with the advancement in technology. 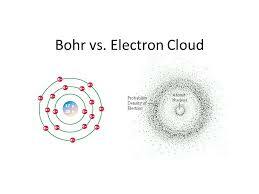 The electronic cloud model is different from the traditional Bohr’s model given by Neil Bohr. Although he talked about the electron orbiting the nucleus, he could not correctly explain the duality or wave-particle nature of the electrons through his model, which became a key issue of development in quantum mechanics. Hence, the electron cloud model was developed in 1926 by Erwin Schrödinger and Werner Heisenberg. It is a model which can help to visualize the probable position of an atom. The electron cloud model was proposed in 1925 by Erwin Schrödinger and Werner Heisenberg to explain the uncertainty regarding the position of electrons in an atom. It is thus a departure from the traditional atomic models, like the Bohr’s atomic model, which stated that electrons moved around their orbital shell in a straight and fixed path. It states that electrons are found in clouds near the nucleus. It is the currently accepted model for an electron. 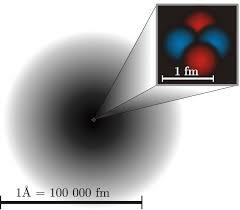 Using the electron cloud model, chemists can create maps of the atomic orbitals of the electrons. These maps are not predictable and are not spherical in shape.